The nickel Colette Series CMC65NI with CMC 6U Amp & MK5 Omni/Cardioid Capsule Set from Scheops is a modular system that combines an interchangeable microphone capsule, a microphone amplifier, an SG 20 stand clamp, a B 5 pop-screen filter, and a wood carrying case. It can be used to capture audio in several environments for broadcast TV, film, theater, live stage, and voiceover applications. 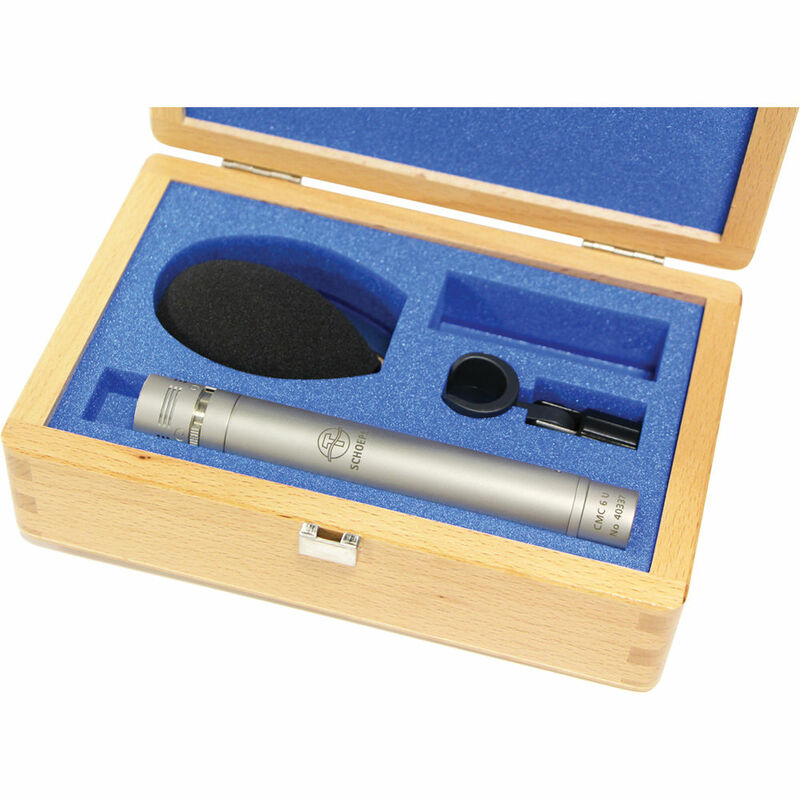 Featuring an MK 5 switchable omnidirectional/cardioid capsule, the mic delivers a smoother, more extended high-frequency response than dual-diaphragm capsule models. It is a pure pressure transducer when in the "omni" setting, which is flat with an extended low-frequency response without a proximity effect or undue sensitivity to wind or solid-borne sound. The CMC 6 amplifier is designed to work with a standard 12V or 48V microphone and has a 12 db/octave roll off below 20 Hz as a protection against vibrations and air motion creating unwanted noise below the hearing spectrum.